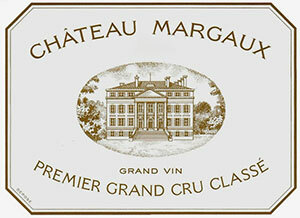 The 1998 Margaux's color is a dense ruby/purple. The wine is tannic and austere, but elegant, with notes of asphalt, blackberries, acacia flowers, and sweet, toasty oak. Subtle, rich, nicely-textured, and medium-bodied, it is built for the long haul. Anticipated maturity: 2006-2030. A deep garnet core with deep brick rim. The nose has moderate intensity, not the exuberance and exhilaration of the Haut-Brion, but expressive, with notes of blackberry, tar, a touch of leather and bilberry. What it does not have is Margaux's signature aroma of violets - this is more reserved and masculine. The palate is medium-bodied, quite peppery upon entry with good acidity and balance, yet missing the femininity and the finesse that marks out say the 1999 or the 2001. The finish is quite dry, perhaps a little dour compared to other Chateau Margaux. Tasted March 2008.